Etsy’s endless creative offerings never cease to amaze me. 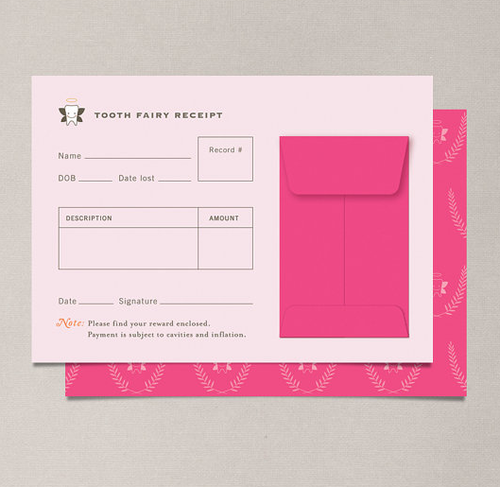 This brilliant ’receipt’ by Nocciola Design is a tooth fairy receipt?! I love how it has a professional vibe yet is whimsical, something a child would love to find under his/her pillow.